The Scoop: Natacha Noël has an impressive résumé as a matchmaking professional and entrepreneur in the dating industry. 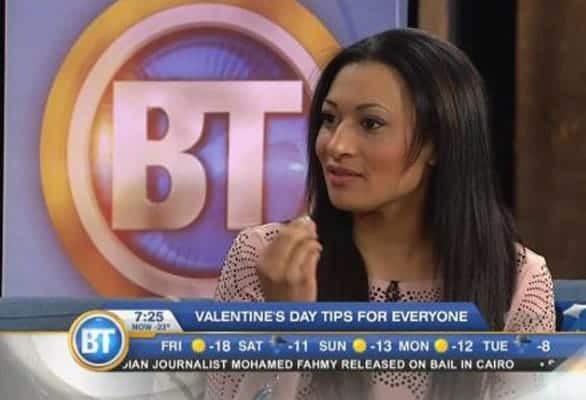 She’s the CEO and Founder of Absolute Bachelor Club, a boutique matchmaking company for single men in Canada, and she has recently launched a second business to cater exclusively to single women in Montreal. Match Parfait is Natacha’s latest endeavor to make dating less stressful and more enjoyable for everyone. Her time-testing matchmaking and dating coaching process guides professionals to compatible dates and gives them constructive feedback along the way. Thanks to Natacha’s proactive efforts, today’s singles can stop wasting time and energy on bad dates and start the next chapter of their lives. When Natacha Noël founded Absolute Bachelor Club, a premier Canada-based matchmaking company, she handled most of the day-to-day work herself. She interviewed clients, scouted date prospects, arranged introductions, and provided coaching and feedback. She gave her male clients her undivided attention as she guided them through the dating process. Her focus was always on the next date. Then, at the beginning of 2018, Natacha became the mother of twin girls, and her priorities shifted slightly. Motherhood helped her see the big picture and realize she could do more to help singles find a relationship and build a family. She decided to expand her efforts in the matchmaking industry and launch a second company to reach out to single women. Natacha Noël is the Founder and CEO of two matchmaking firms in Canada. 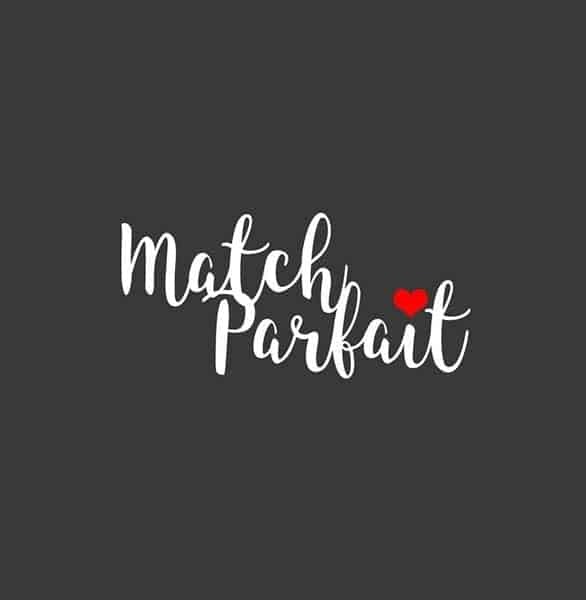 Match Parfait is a Montreal matchmaking company that applies Absolute Bachelor Club’s techniques to an all-female clientele. The company’s ultimate goal is to accelerate the dating process and yield results for professional singles seeking a relationship. Since becoming a mom, Natacha has also let go of her do-everything-herself mentality. Her skilled team of matchmakers and dating coaches have taken Absolute Bachelor Club’s daily responsibilities off her shoulders, leaving her free to focus on growing her second brand while growing her young family. Many national media outlets have featured Natacha’s dating and relationship advice. Natacha’s passion for helping women has spurred her forward in the dating industry. She understands the challenges facing modern daters and is intent on tackling them with a quality-driven alternative to online dating. Natacha doesn’t want singles to waste time on bad dates, so she maintains a streamlined matchmaking system that has helped single men, and now can help single women, find love. Absolute Bachelor Club is a male-centric matchmaking service that has gained traction in the Canadian dating scene due its hands-on approach to arranging dates. Its growth and success encouraged Natacha to extend her matchmaking and coaching services to women as well. She launched Match Parfait as a premier women-only matchmaking and dating coaching company based in Montreal. Match Parfait caters to successful single women seeking a long-term partner. This boutique company caters to single professional women ranging in age from 25 to 55. Natacha told us she’s excited to deliver her audience to a brand-new audience. She promises that women will be at the heart of this new company, and she hopes to grow her reach from Montreal to Toronto, and beyond. Since 2015, Natacha has wanted to speak directly to single women in Canada and offer a time-saving solution for finding a date, and now she is seeing that dream come to fruition. Match Parfait’s online courses and group coaching further build her authority and make her advice accessible to all. She and her team produce educational content on important dating topics so that Match Parfait won’t just be an introduction service — it will be a vital resource for single women of all ages and backgrounds. As part of her matchmaking process, Natacha conducts a Discovery Session first and foremost to get to know her clients. She wants to have a full understanding of who they are and what they want, so she can properly direct them in the dating scene. Sometimes these in-depth coaching sessions are enlightening for singles as well. They learn about themselves and gain clarity on what they’re looking for. Absolute Bachelor Club has earned the reputation as Canada’s premier matchmaking service. As a matchmaker and dating coach, Natacha doesn’t cut corners. She invests in her clients, and she expects them to invest in themselves as well. By digging deep into the psychological aspects of dating, Natacha can more accurately pinpoint areas of improvement and develop a strategy to get that person in a relationship in a short period of time. She meets her clients in person, and their conversational style, appearance, and habits all factor into her matching process. She takes the time to screen all her clients so she can save time in arranging dates and finding couples who click with one another. Natacha has big plans for the future. She wants to travel to high schools and inspire young folks to date more intentionally and choose the right partners. She intends to build up the Match Parfait brand in Montreal and then expand throughout Canada and the US. She has a coaching group and a TV show currently in the works. She has a book ready to publish. And, on top of everything, she is raising twin girls. Though she has a lot on her plate, Natacha told us she loves being able to help people tackle one of the most important decisions in their lives. She has spent years working closely with single men, and now she is extending a helping hand to single women as well. Match Parfait is currently growing its client base in Montreal, but Natacha plans to expand it to bring peace of mind to thousands of daters in North America. You can keep up with Natacha’s latest projects and successes by following her on Instagram. Match Parfait and Absolute Bachelor Club excel at facilitating matches between relationship-minded folks from all walks of life. These companies essentially lower the borders to love and open singles up to romantic possibilities around the corner or even in another country. Whether she’s introducing American men to Canadian women or creating a constructive coaching group for singles, Natacha’s focus is on improving the dating scene by educating and supporting today’s dating population. Becoming a mom has fundamentally changed Natacha’s matchmaking and coaching style. Instead of spending her Friday evenings at a hip club scouting out date prospects, she now stays at home with a child on each hip. Her parenting responsibilities, however, haven’t dimmed her entrepreneurial spirit, and she continues to develop dating coaching and matchmaking services to make the dating scene a better place. Natacha launched Absolute Bachelor Club and Match Parfait to ensure modern singles have the resources they need to find a steady relationship. Her goal is to introduce clients to attractive and available dates as quickly as possible, so they can start building their future families sooner rather than later. “No one has time to waste in the dating scene, and that’s why I designed my matchmaking companies to be a straight line to exactly what a person is looking for,” she said.